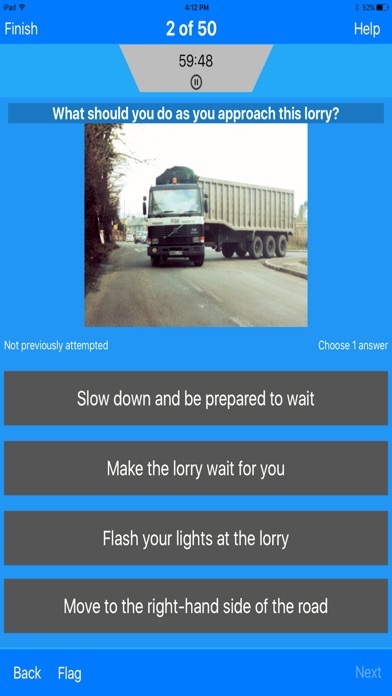 Are you ready for the DVSA Car Theory & Hazard Perception Test? Download now to find out! 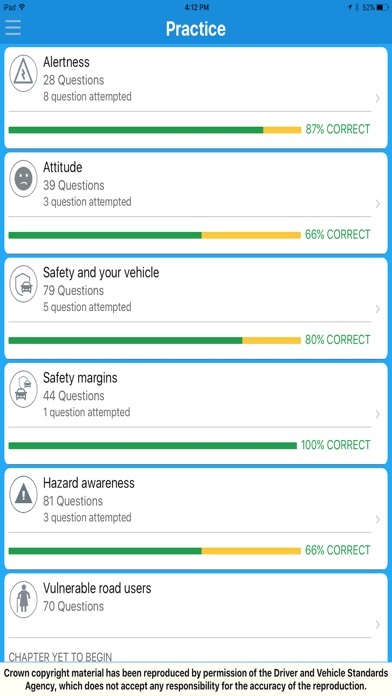 Featuring 700+ official questions from the DVSA, this app is the best way to sharpen your skills and prepare yourself for the actual test! 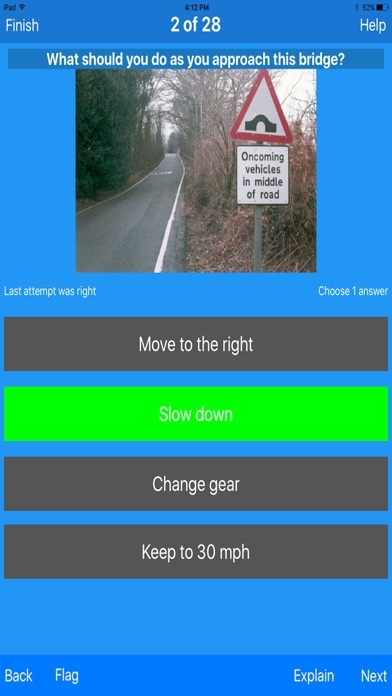 Dive right in with both text and image based questions to test your abilities before spending money on the official test. 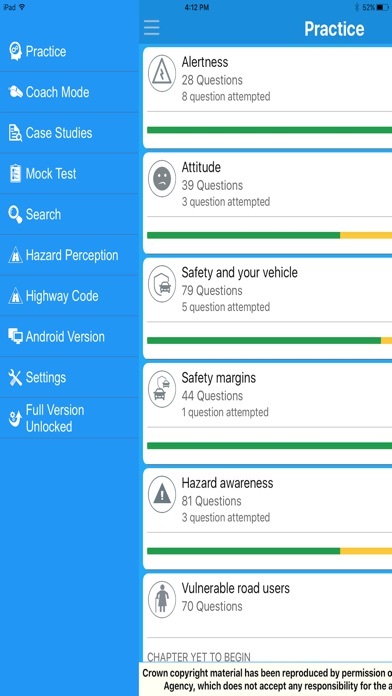 Featured modes include: * Practice Mode - Travel through the different categories to test your skill and familiarize yourself with questions directly from the DVSA! * Coach Mode - Randomly receive questions from the full question bank to expose yourself to your weakest spots. The app will automatically trend toward giving you questions from categories which you need the most help. * Mock Test - Fully mimic the actual test--from the timer countdown to the actual scoring system. After taking the 50 question test, we'll tell you how you would have done if this were the actual test. Will you pass or fail? * Case Studies - Read a quick story and answer ten questions related to the specific scenario. 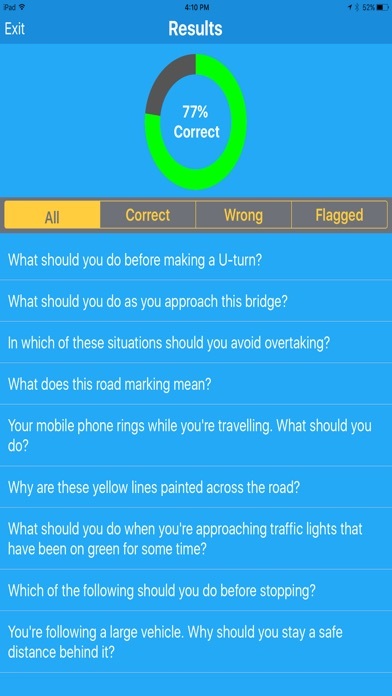 * Highway Code - Embedded in the app, find the full Highway Code handbook to help brush up on topics which you need the most help.